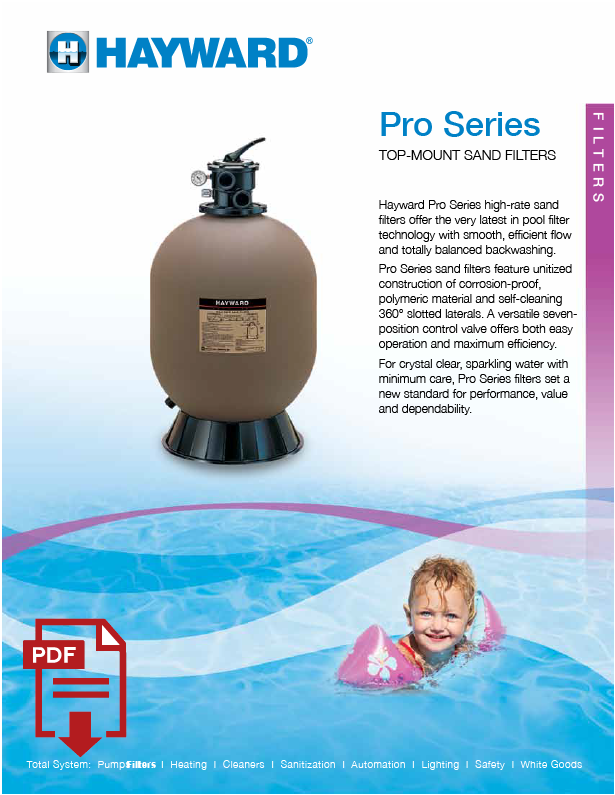 Hayward Pro Series high-rate sand filters offer the very latest in pool filter technology with smooth, efficient flow and totally balanced backwashing. Pro Series sand filters feature unitized construction of corrosion-proof, polymeric material and self-cleaning 360° slotted laterals. A versatile seven-position control valve offers both easy operation and maximum efficiency. For crystal clear, sparkling water with minimum care, Pro Series filters set a new standard for performance, value and dependability.